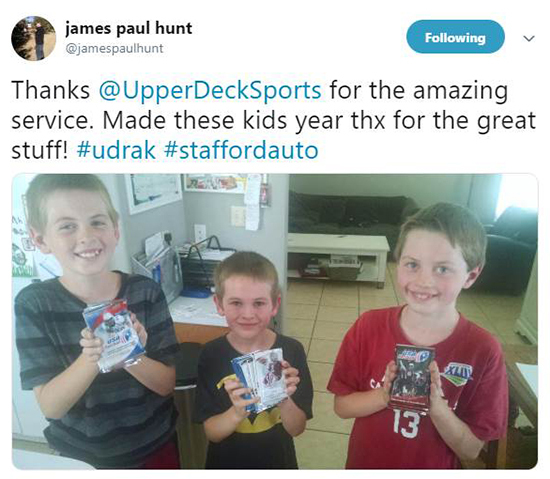 Upper Deck’s Random Acts of Kindness program started during the company’s 25th Anniversary campaign in 2014 as a way to say thank you to those doing good in the hobby. 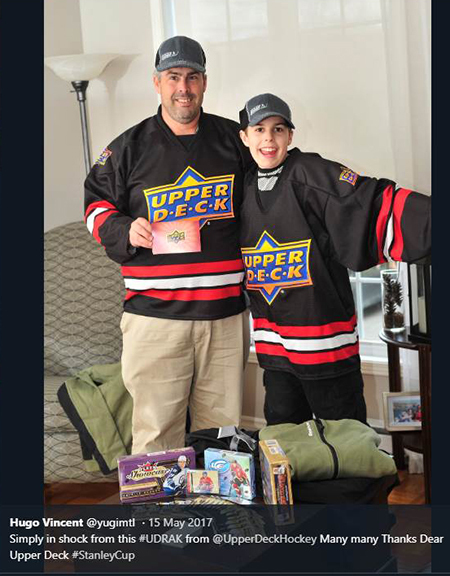 With so much negativity online, Upper Deck wanted to reward fans who help out other collectors and are positive advocates for the hobby on message boards and on social media. 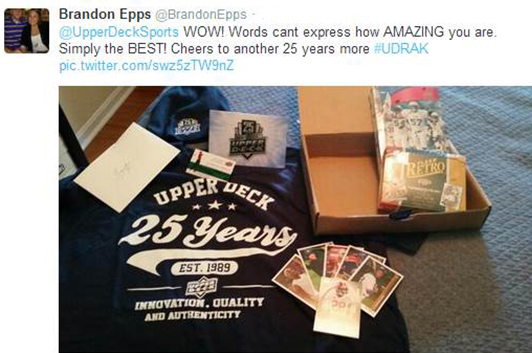 During that campaign, Upper Deck thanked collectors and sometimes even celebrities with special packages to let them know how much the company appreciated them. 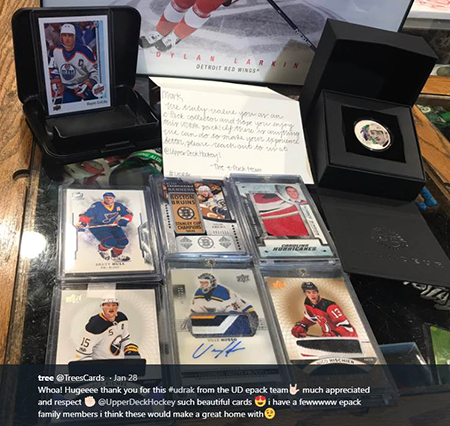 UD’s social media team is always on the lookout for collectors doing good so we can surprise them with a mail day! The program has helped to change the way collectors engage with each other online. 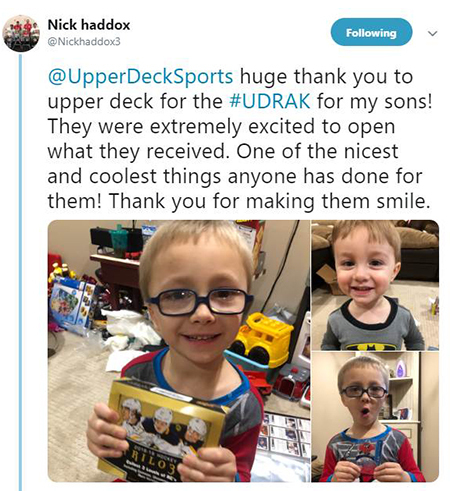 Knowing that Upper Deck is always watching and listening to what is happening online, many collectors are trying to be more helpful and generous on social media platforms and message boards. 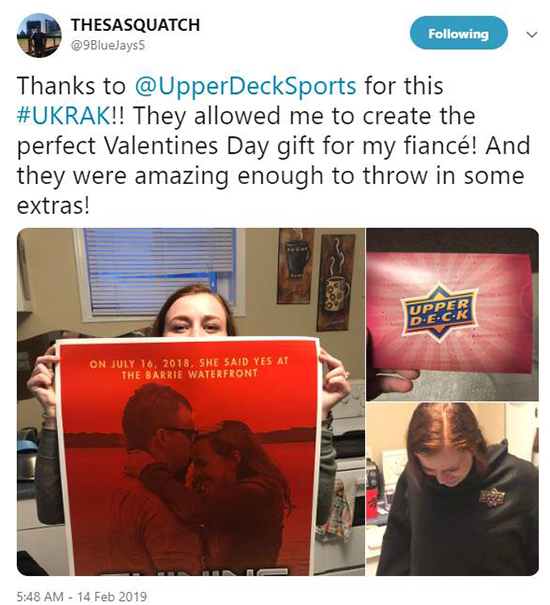 They are scoring as Upper Deck hears their story and surprises them with an unexpected mail day. 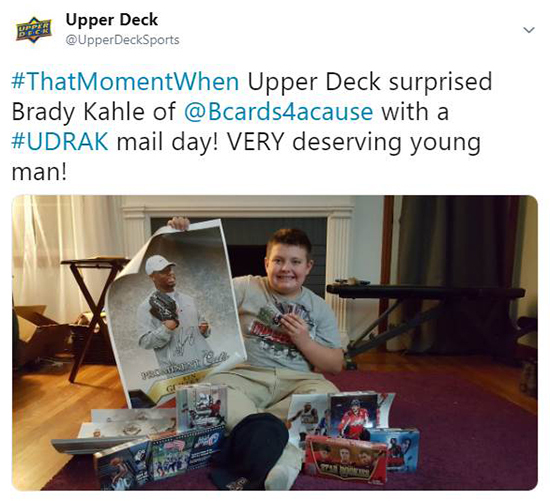 If you are doing good out there to encourage the hobby of collecting, there’s a pretty darn good chance Upper Deck will hear your story and you’ll be added to the company’s list of #UDRAK recipients. Just check Twitter for the hashtag #UDRAK to see fans react to receiving these mail days. 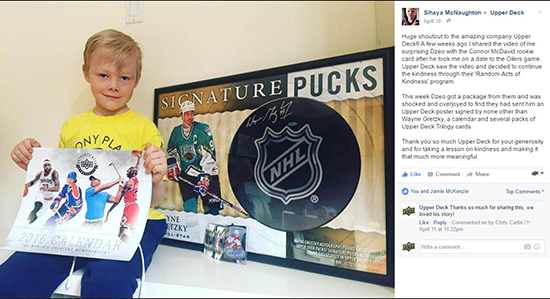 Since 2014, Upper Deck has shared over 2,000 packages with fans around the world through this program. 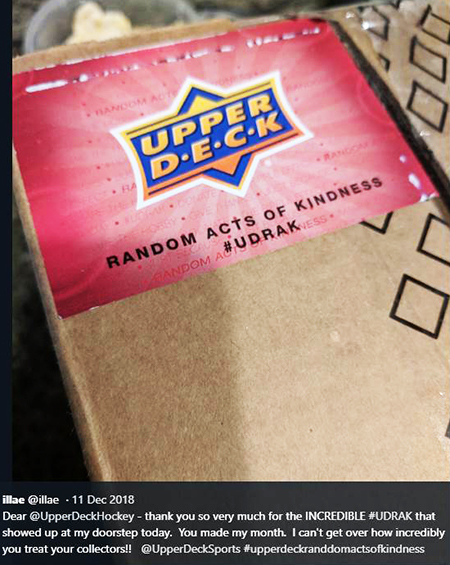 Fans who score an Upper Deck Random Acts of Kindness package no about it right away when they see the red sticker on the package. Finding this on a package you receive from Upper Deck means good things are inside. 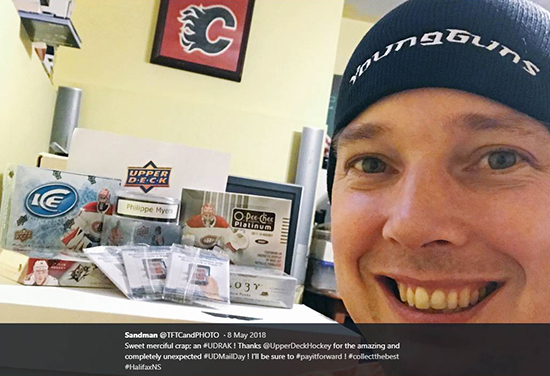 Fans get excited about their Upper Deck Random Acts of Kindness package before they even open them. Kids in particular are frequently recipients of these packages as we work to develop the next generation of collectors. 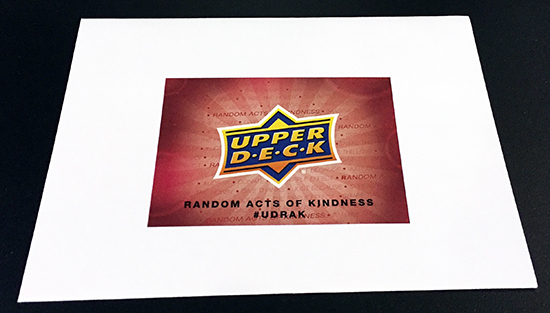 At holidays, Upper Deck likes to get creative with #UDRAK packages. Here’s a look at some fun packages collectors received at Valentine’s Day. 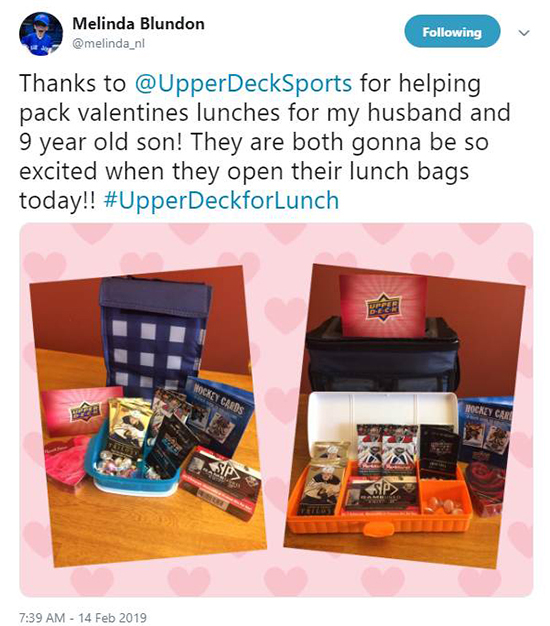 Upper Deck also watches how fans engage with each other on the company’s e-Pack platform, especially on the message boards. 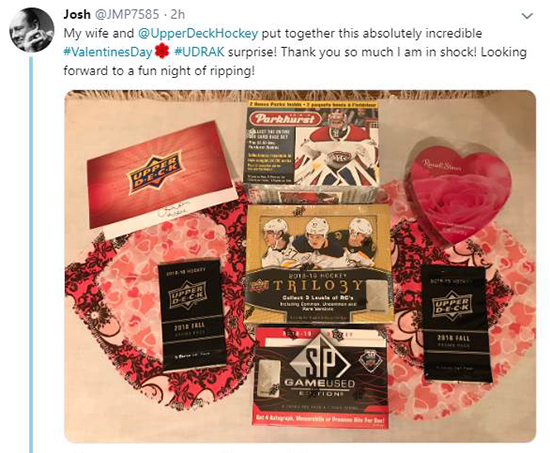 Great advocates on e-Pack who are very engaged and help others have a good shot at finding a surprise mail day coming their way from Upper Deck. Collectors love getting a mail day they expect, but when they are surprised with these special packages, they go wild. 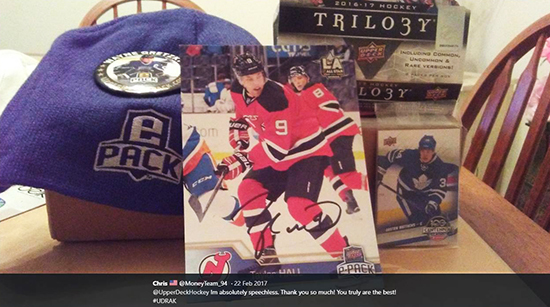 At Upper Deck we are happy to give back to loyal fans doing good in the hobby. Look for more to come in the future as we work to remain the collector’s choice. I have had to deal with illnesses and financial difficulties for almost four years. I have raised money by selling off most of my trading cards. One good thing though has been I have helped my 9 year old nephews get into the hobby by giving them some of the cards I haven’t sold. Thank you for helping others, even if you can’t help me. I hope the help you have given continues the love of sports and collecting for generations to come. I received an RAK package today in the mail and It was amazing. My son was so happy to see the unopened boxes of cards from upperdeck. Just so happens it was a snow day and we enjoyed some box breaks during the day!! Upperdeck ROCKS!!! 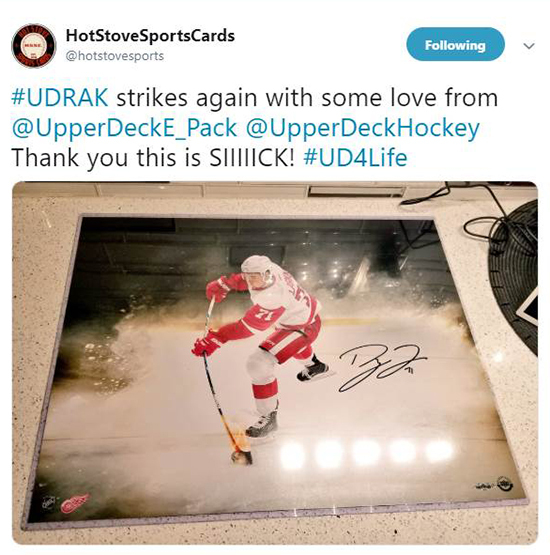 #UDRAK is a great way to give back to the card community. There are so many collectors out there that can’t even dream about buying a box of mid or upper range product, and can only buy a few packs at a time. This program gives a chance for those low tier collectors the experience the thrill of busting a box of some nice products. Well done Upper Deck!